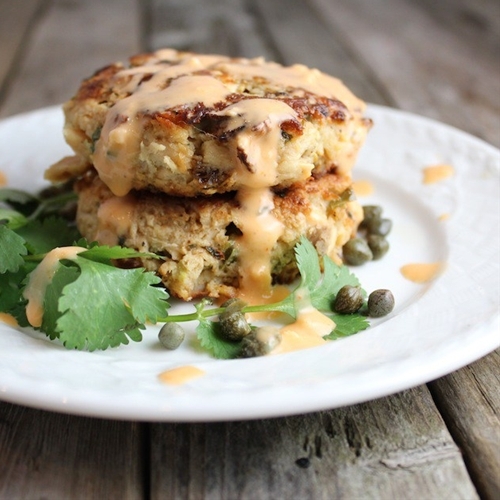 These Tuna Cakes are easy and mouthwatering! They are super quick to mix together and they take just 3 minutes a side to cook. You can take the heat up or down by varying the quantity of jalapenos and by making a spicier aioli with Sriracha!